Many curlies fight their texture for years (even decades) before deciding to embrace their natural hair. For many, that's the hardest step! 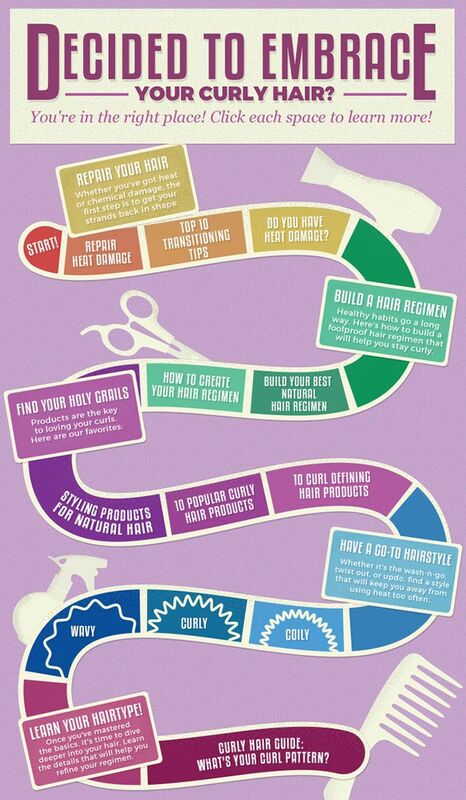 But once you have made the decision, you may find yourself asking Google "how do I take care of my naturally curly hair?" or "what's the most popular product for curly hair?" and you will quickly discover an overwhelming amount of information, oftentimes conflicting. So we put together this easy beginner's guide! Just click each box to see our most popular articles for new naturals. And if you need products to start your curly journey, we're giving some away- see how you can enter below. We're giving away prize 3 mystery bundles of curly hair products! Have a friend who's transitioning? Spread the word! Tag a friend in the comments below who could use this guide and you'll be entered to win. To tag a friend, simply type their name with the @ symbol before it, if they are a Facebook user their name will pop up. Giveaway ends on February 12.